Do you seek to grow your students' mathematical mindsets? I've created a Video Series on how to cultivate and grow a Mathematical Mindset with quick easy "PRINT & GO" tips. The first video in the series is about the basics of a Mathematical Mindset and how to help students take risks to earn better scores. This Professional Development Video is about how your students can achieve higher success in Mathematics with one simple strategy. The video explains the "test retake" strategy, how to implement it, and the reasoning behind the process. Dive into this strategy and learn how to effectively administer test retakes for your students. 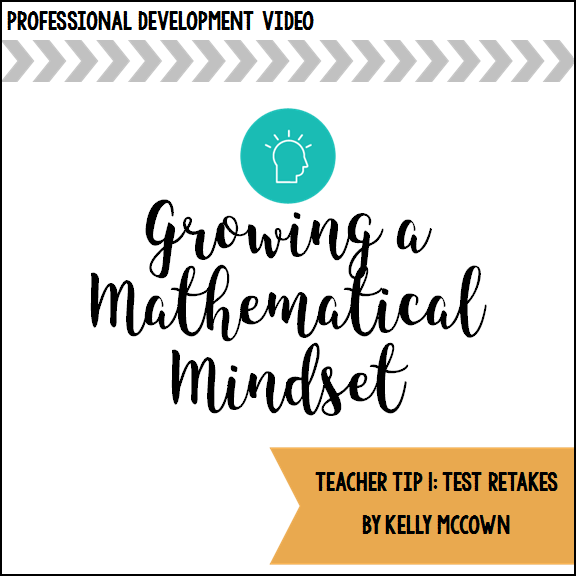 Click HERE to view the video and get started on growing Mathematical Mindsets in your classroom today!